In it, I included all the information I’ve gathered over the years on maximizing credit cards in terms of earning and redeeming points as well as benefits and perks, but also talked about concepts like elite status, mileage redemption strategies and more. Speaking at the New York Times Travel Show on Sunday. I won’t include details in the text of this post itself, but you can find my entire presentation below with links to detailed posts on many of the concepts I discussed. 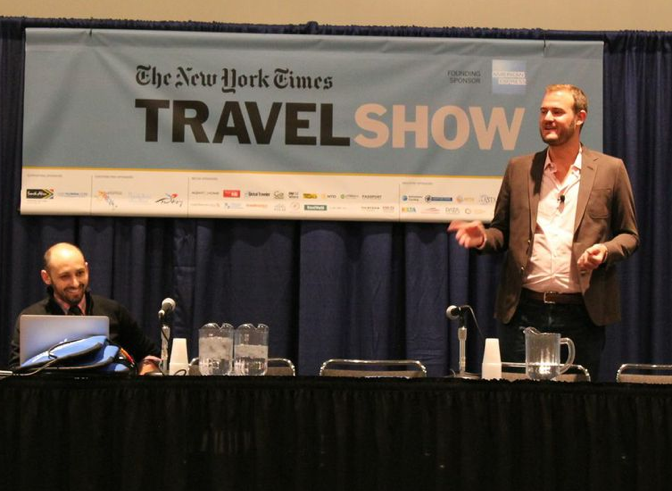 This was the third year I appeared at the New York Times Travel Show, and as usual, it was a blast. It’s so fun to be able to share the topics I’m passionate about with a crowd that is full of newbies and veterans alike, and I’d like to thank those of you who came out to hear me speak for making the time. I love meeting readers and talking travel, so this is always a highlight for me. In the meantime, have a look through the presentation and the posts I link to, and then let me know if you have any other questions by messaging me on Facebook, Tweeting me or emailing me at info@thepointsguy.com.